Golden Valley Kids specializes in treating children from infancy through their teenage years, as well as children with special health care needs. We are your neighborhood pediatric dental office. Children who establish a dental home, where they feel comfortable and supported, are more likely to have healthy teeth. We aim to provide individualized preventive, restorative, and orthodontic care for your children. 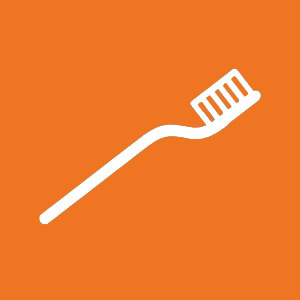 We focus on prevention and teaching parents and patients how to take care of their teeth together. There’s no need to travel to many different providers! 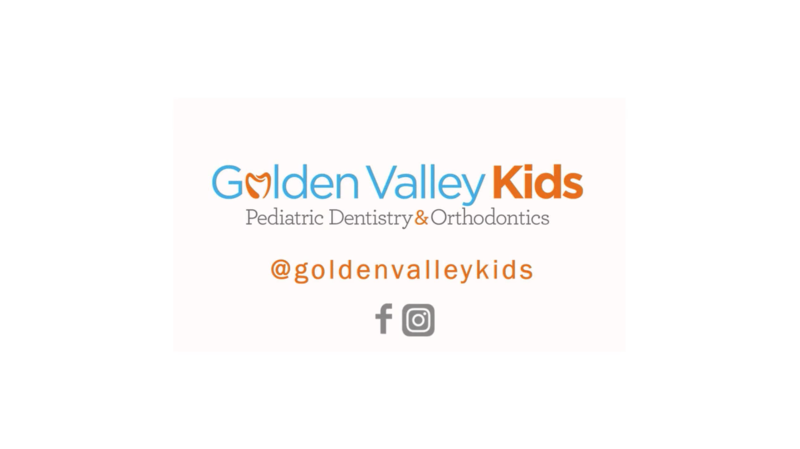 At Golden Valley Kids, we offer dental services and orthodontic treatment in one convenient location. We collaborate to create the best plan for your child’s healthy, dazzling smile! Children begin to get their baby teeth during the first 6 months of life. By age 6 or 7 years, they start to lose their first set of teeth, which eventually are replaced by secondary, permanent teeth. Without proper dental care, children face possible oral decay and disease that can cause pain and complications. Today, early childhood dental caries—an infectious disease—is 5 times more common in children than asthma and 7 times more common than hay fever. Dr. Adena Borodkin grew up in Winnipeg, Canada. She attended the University of Minnesota for both Dental School and her Master’s Degree program in Pediatric Dentistry. Dr. Adena is passionate about kids and is a lifelong learner. She takes many hours of continuing education courses and even gives lectures to other dentists and specialists. She received the American Academy of Pediatric Dentistry’s Graduate Student Research Award for her research on dental development in children with cleft lip and palate. Dr. Adena strongly believes that children who feel valued and respected are more likely to be confident patients with healthy lifelong dental habits. 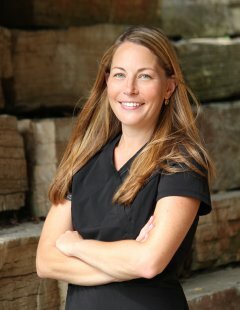 She combines her knowledge of dentistry with her experience as a parent to deliver a proven positive experience for kids. She is passionate about giving back through her volunteer work. Dr. Adena has 4 young kids: Elyse, Jillian, Seth and Leah. She enjoys yoga, tennis, cooking and traveling. She is an avid reader and loves spending time with her golden doodle, Jenny. She’s also looking forward to working with her husband, Dr. Jim Miller, who taught her how to make her first retainer in dental school. Dr. Miller is married to Dr. Adena Borodkin and is the proud and involved father of four great young kids. Dr. Miller enjoys reading, travel, the arts, friends and family. He has served on the school board and as a coach for his daughter’s Fast Pitch Softball team. He is passionate about his career and is heartened by the positive impact his work makes on the lives of his patients. Dr. Borodkin truly enjoys working with and teaching children. Her passion and enthusiasm for teaching kids the skills necessary for excellent oral health is seen through the fun and energetic environment created for her patients. Every patient walks away with a custom smile! Since becoming a dentist in 2004, Dr. Adena always knew that she wanted to use her skills to improve the lives of kids in need. Dental decay is the most common chronic childhood disease, and many children worldwide suffer with pain in their mouths. 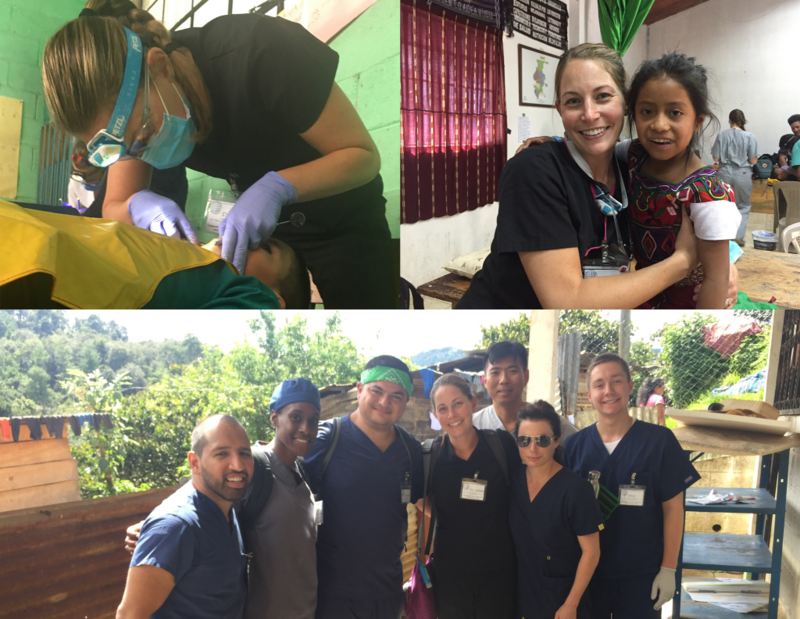 In addition to volunteering and organizing local charitable events, Dr. Adena recently participated in her first international dental service trip. In August of 2017, she joined a group of volunteers and traveled to the hills of Guatemala. Their group of 24 dentists and volunteers treated over 1500 children in 6 days. It was really hard work, but the most rewarding career experience Dr. Adena has ever had. During your first visit we will review good oral health practices and make sure your child knows how to keep his or her teeth in tip-top shape! We will provide a thorough dental cleaning followed by an exam. We invite you to accompany your child into the treatment area during the initial exam. 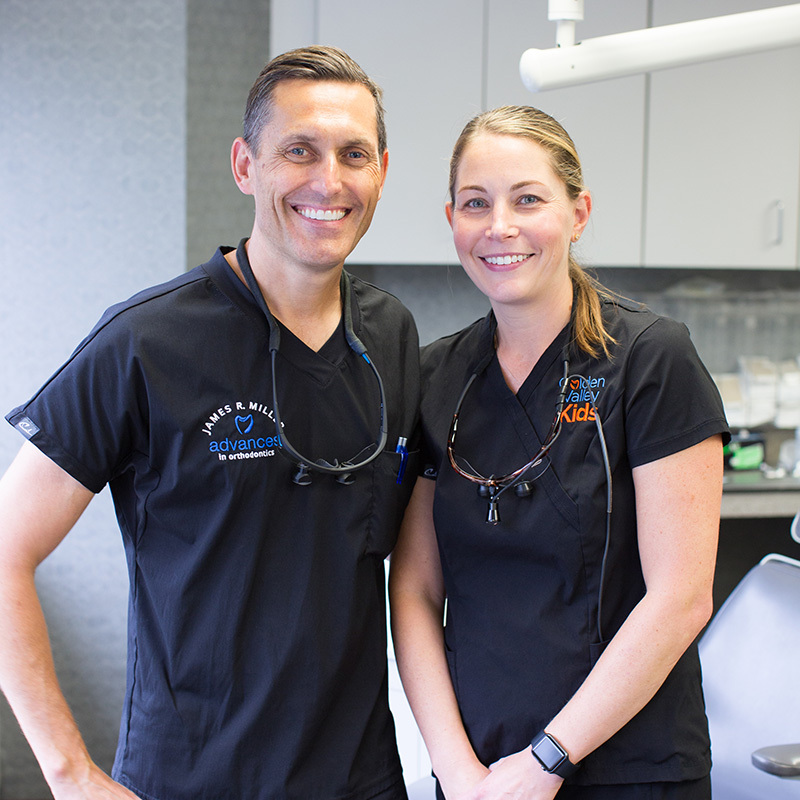 This will give you the opportunity to see our staff in action and allow our doctors to discuss dental findings and treatment recommendations directly with you. Growth and development – all exams include an assessment of your child’s teeth and spacing. We might recommend an orthodontic evaluation once permanent teeth are present. If decay is detected, we will develop a treatment plan to restore the decayed areas. We offer tooth colored restorations as well as full coverage crowns for larger cavities. Every person has their own ability to cope with stressful situations. We have experience with many behavior management techniques to make your child’s visit as easy as possible. We tailor our strategy to fit your child’s personality. Nitrous oxide or happy air is an excellent tool for young dental patients. It serves to reduce anxiety, increase working time, and reduce pain. It is completely safe, mild, and well tolerated. We want every child to have a dental home where they feel comfortable and supported. We have experience working with children with physical, cognitive, behavioral and developmental needs. Our office is physically accessible to all children. Sometimes, the dental needs of a child can exceed what they are able to tolerate in the clinic. Dr. Adena is on the professional staff of Children’s Hospitals and Clinics of Minnesota, and can coordinate anesthesia services to complete all the treatment at a surgery center. We are contracted with the following insurance plans: Delta Dental (Premier Specialists Network and State of MN PPO), Health Partners (Specialist Network), and Cigna. Unfortunately, we are not credentialed with any medical assistance or state funded programs at this time. Cavity Free Club: For those families without dental insurance, we offer a special program. For one annual fee ($65 for the first child and $30 for each additional child), patients receive a 15% discount on preventive and restorative services. There is no waiting period required to use your savings. 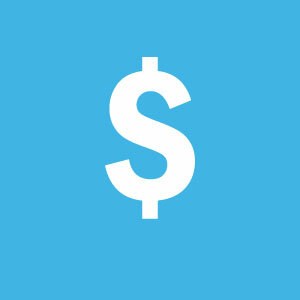 This program cannot be used in combination with any insurance or other discount programs. Elective services such as orthodontics, are not included in the Cavity Free Club. We will begin each appointment with a Caries (Decay) Risk Assessment which allows us to tailor our preventive plan to your child’s needs. We will offer help to every patient and parent with oral hygiene instruction, nutrition, and fluoride exposure information. Dental emergencies are common but can be stressful. We have a dentist on call to address your questions or emergencies after hours. Please call our office number and follow the prompts to reach Dr. Borodkin. Young athletes should always wear a well-fitting mouth guard for contact sports. Prevention is much easier than treating traumatic injuries to the mouth. Orthodontic treatment is important in order to establish a proper bite and a proper alignment of the teeth. Better function, ability to clean the teeth, longevity, and esthetics are all enhanced after orthodontic treatment. 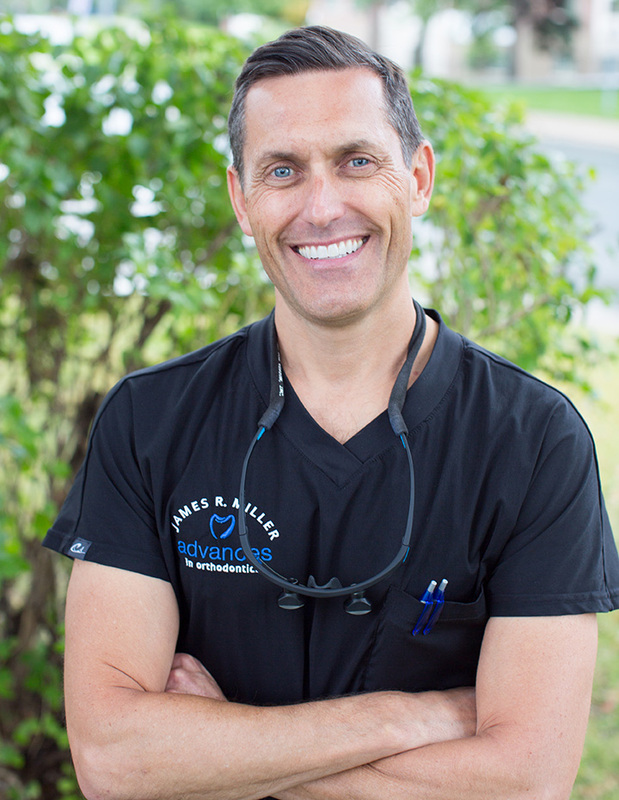 Click here to visit our orthodontist’s website! Dr. Adena is amazing! My teenage daughter who had a bad experience with another dentist was terrified to meet another one. Dr. Adena really knows how to work with kids who have anxiety. She actually talks about Dr. Adena with excitement! I am so thankful to have found Dr. Adena. Thank you! Everyone is so welcoming and genuinely nice here! Dr. Adena was down-to-earth, extremely knowledgeable, and very gentle. Beautiful office, very clean and high-tech equipment. Best dental experience my son has ever had! Every aspect of the visit was top-notch! Highly recommend! I am so pleased with my son’s dentist, she really goes above and beyond in giving your children the attention and ease that is needed when going to the dentist office. The vibe in the office is peaceful and welcoming. They definitely gained my 7 year old son’s trust and he now enjoys going to see his dentist. My kids really like Dr. Adena. She spends time getting to know them and also takes the time to teach me how to best take care of their teeth. I wish I could give this place 10 stars! Dr. Adena was absolutely fantastic with my son (5 years old) and my son is excited to go back! Which is a bonus in my book. Keep up the great work!!!!!! Dr. Adena was so pleasant. My 3 year old daughter really enjoyed her visit. I will definitely be recommending to friends and family.